Such devices may incorporate computer vision, local decision-making, robotics, air sensors, taste sensors and smart touch to communicate with the world around it. “These AI based devices provide a connection between the digital world and the physical world,” Yu said. As manufacturers such as Huawei continue to develop the internet of things, such intelligent phones may become an even more integral part of how mobile devices are used as a hub for connectivity between several other smart devices. These intelligent phones may house different platforms for sports and healthcare, home, car and office within one handset and may include learning-based chipsets that have as primary functionalities, deep learning, security and low power to ensure the longevity of a device as technology continues to improve. 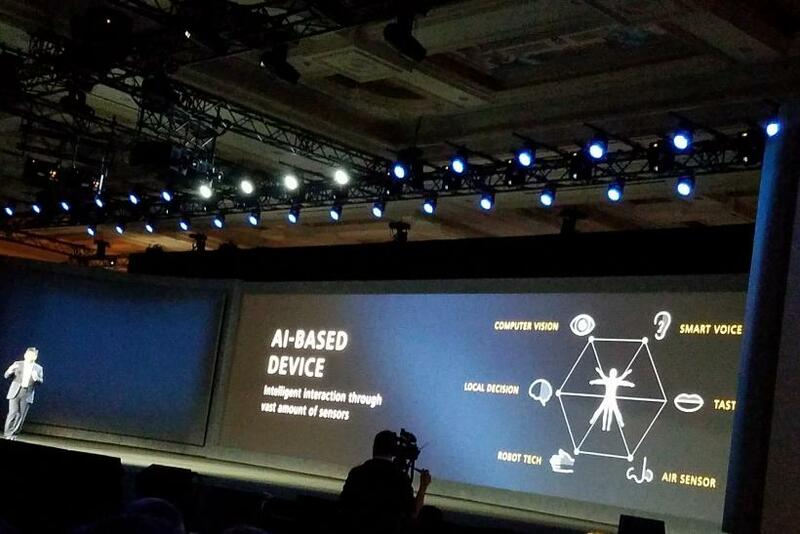 While the intelligent phone remains a concept, Huawei is testing the idea through collaboration with Amazon, which has brought the Alexa AI software to the Huawei Mate 9 smartphone. Huawei also announced at CES 2017 that the Mate 9 would be available in the U.S. starting Jan. 6 for $599. The smartphone is the first of Huawei’s global flagships to have availability in the U.S.